HYAcorp MLF1 is an absorbable skin implant with a high level of purity. It is a medical device intended for single use only and is produced from a hyaluronic acid of non-animal origin. 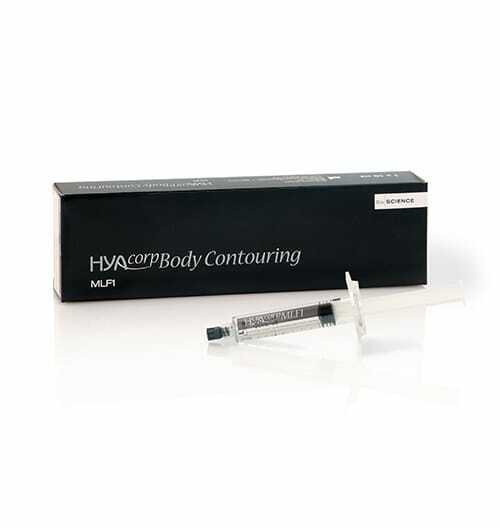 HYAcorp MLF1 is specially designed for the body contouring and shaping. HYAcorp MLF1 is intended to be used as a means of restoring lost volume and contouring body surfaces. The depth of the injection can vary depending on the treatment site, the subcutaneous application and the supraperiostal application. Are you Interested in HYAcorp MLF1?